PRODUCT: 12V U1L-6 Heavy Duty (CCA 330) Generator Battery / Garden Tractor Battery. Fits most 6-12 kw Electric Start Generators and others. Price/Each. INCLUDES $10 CORE CHARGE. 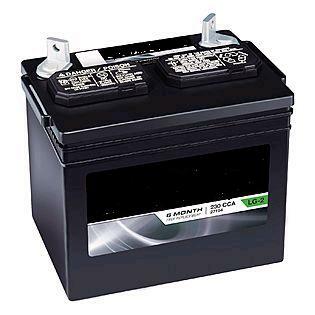 SHIPPING RESTRICTED: This battery type can NOT be shipped by regular UPS, Truck Shipment Only (UPS FREIGHT or Freightquote services).